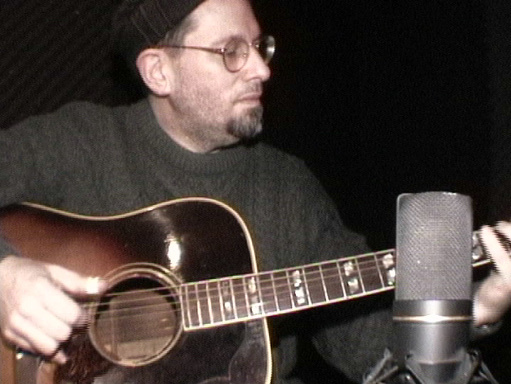 Featuring Bill Orcutt, Glenn Jones, Mark McGuire, Matthew Mullane and Anthony Pasquarosa. This entry was posted in News and tagged American Primitive, Anthony Pasquarosa, Bill Orcutt, Glenn Jones, Guitar Soli, Mark McGuire, Matthew Mullane, VDSQ on May 5, 2014 by Work & Worry. 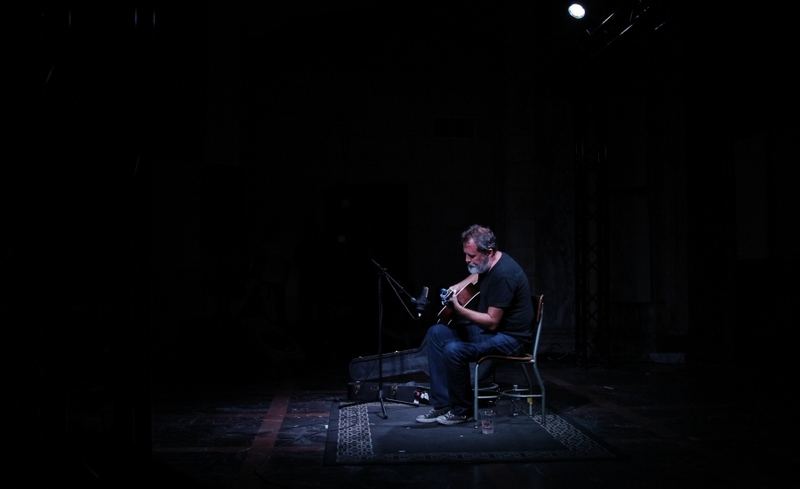 World Behind Curtains is the second album by Israeli guitarist and composer Yair Yona. His debut effort, Remember, was a charming nod to the work of American pickers like Glenn Jones and the late Jack Rose, with Yona building on those guitarists’ post-Takoma palette with a few indie rock touches and some ensemble playing to fill out the sound. Well if Remember sounded full, World Behind Curtains is bursting at the seams! Throughout the disc, Yona’s fiery acoustic fingerpicking is augmented by lush orchestration and carefully arranged instrumental interplay, ranging from the tender, to the sinister, to the ambitiously cinematic. The tender: First single “It’s Not The Heat, It’s The Humidity” finds Yona in Bert Jansch mode, and the guitarist says that the track was inspired by Jansch’s 1979 masterpiece Avocet. It’s not hard to make that comparison, especially at the beginning of the track where Yona dances around the chord roots, sprinkling in some modal ornamentation and basically nailing Bert’s thumb-picked sound. When Yona is accompanied by Shira Shaked on piano, though, the piece really begins to soar… and when the two players are joined by a chorus of strings, “It’s Not The Heat…” sounds like nothing less than a full-on, big-budget Joe Boyd production. It’s a striking step forward for Yona. This entry was posted in Reviews and tagged Acoustic, American Primitive, Bert Jansch, Fingerstyle, Glenn Jones, Guitar, Jack Rose, John Fahey, Robbie Basho, Strange Attractors Audio House, World Behind Curtains, Yair Yona on March 4, 2012 by Work & Worry. While I don’t get out on the road nearly as often as I’d like, it seems that for the last few years, I’ve been able to tour with some regularity… and though I normally relish these trips as an opportunity to be alone with my thoughts and tunes on the sometimes long drives between gigs, my last three outings have been cooperative tours with other musicians, which is really the more interesting way to go. This time out, I had the good fortune to spend a week with Chuck Johnson, in my opinion one of the coolest players recording today. Chuck had secured a small arts grant and was hitting the road to promote A Struggle, Not A Thought, his debut solo LP on the Strange Attractors Audio House label. I’ve been following Chuck’s music ever since his appearance last year on the amazing Beyond Berkeley Guitar compilation, and was really excited to spend some quality time with the man, exploring each others perspectives on our tool of choice, the steel-strung acoustic guitar. Throw in our mutual friend Trevor Healy, not only a talented luthier but a fantastic fingerpicker in his own right, and we had ourselves a week-long guitar bro-down of epic proportions! Having interviewed both men for the release of BBG, I knew that they would be thoughtful and intelligent travelling partners, and alas the short time we spent playing shows together passed far too quickly. This entry was posted in Articles and tagged A Struggle Not A Thought, Acoustic, Acoustic Guitar, Acoustic Music Works, Alex Turnquist, American Primitive, Bert Jansch, Beyond Berkeley Guitar, Burton LeGeyt, Chuck Johnson, Collings, Eric Carbonara, Fingerstyle, Guitar, Healy Guitars, Holykyle, Host Skull, Jerry's Records, Jesse Sparhawk, LeGeyt Guitars, Mike Fekete, Music Emporium, Pairdown, Raymond Morin, Ryan Lee Crosby, Spotty Dog, Strange Attractors Audio House, The Mr. Roboto Project, Trevor Healy on December 8, 2011 by Work & Worry. This interview originally appeared on Pitchfork. Reprinted with permission. As best as he can remember, Glenn Jones has been playing guitar since 1967, when he was 14 years old. Despite four decades spent behind six strings, though, he still talks about the instrument like an infinite terrain– not only for himself but also for the current crop of new, young guitarists following the sounds of his calloused fingertips. He discovers and sometimes discards new tunings almost constantly, and his best tunes sport the sense that they were considered and carved with the diligence and patience of some elaborate wooden trinket. The Wanting, Jones’ first full-length album for Thrill Jockey, is a collection of tunes for banjo and guitar that explores dozens of different ideas within its hour run-time. From the redolent moan of the title track to the withdrawn sigh of “Even to Win is to Fail” and from the gentle climb of the opener to the elliptical expanse of the 17-minute closer, Jones has made a record that twists and turns through both feelings and techniques, impressing even as it empathizes. Pitchfork: Even more so than with your previous records, I was immediately taken by The Wanting. I kept needing to hear it. For you, what’s different on this record than your other LPs? This entry was posted in Articles, Interviews and tagged Acoustic Guitar, American Primitive, Cul de Sac, Fingerstyle, Glenn Jones, Grayson Currin, Guitar, John Fahey, Pitchfork, Robbie Basho, The Wanting, Thrill Jockey on October 2, 2011 by Work & Worry. I stumbled upon this short collection whilst browsing Bandcamp recently, and I’m glad I did. Sean Siegfried is a UK-based guitarist who professes an appreciation for the work of Bert Jansch, Nick Drake, John Fahey and Dave Evans. Though I don’t hear much of Evans in Siegfried’s playing (maybe a smidgen during closer “Asphalt”) he does well in evoking the other three… “Sam’s Brewery” and “Passionate Rag” nail Fahey’s American Primitive style, with familiar tempos and boom-chick bass. Siegfried gets into more interesting territory on “Apples In Winter”, which has hints of both classical guitar and contemporary fingerstyle. Though this waltz can become a little static at times, the guitarist does a nice job creating a somber, reflective mood. “Compelled” is a distinctive, confident piece, and it puts me in mind of Duck Baker’s “Old World” (from Baker’s A Thousand Words album) with just a hint of early Renbourn thrown in. With its Davy Graham-esque intro and strident second section “Ashill” may be my favorite track on the EP. 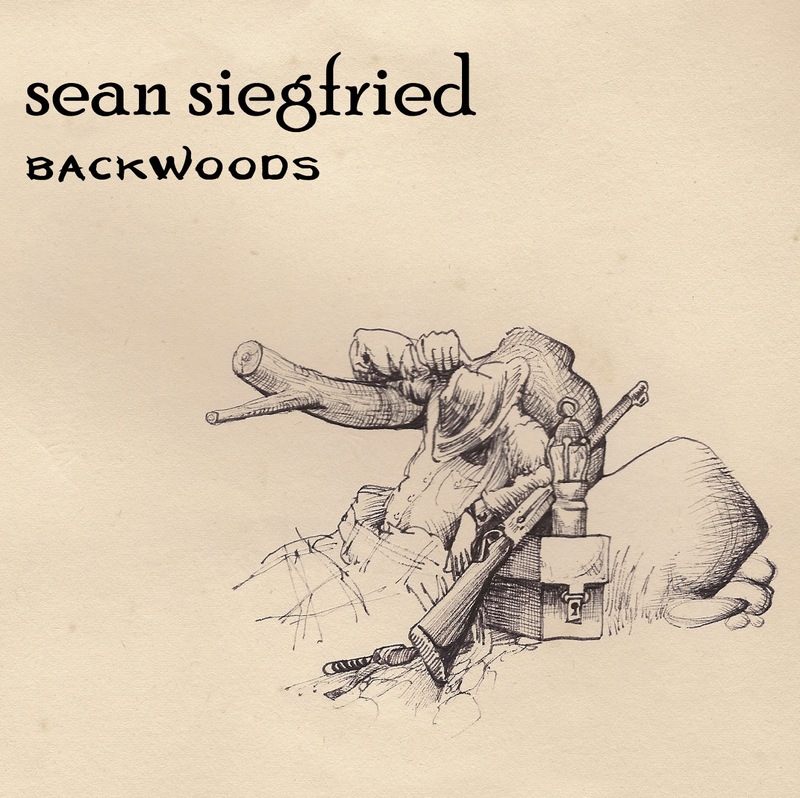 Though the running time of Backwoods is quite short (6 tracks in about 15 minutes) Siegfried manages to put forward a lot of ideas… I look forward to hearing more from this young fingerpicker. This entry was posted in Reviews and tagged Acoustic, American Primitive, Backwoods, Bert Jansch, Dave Evans, Davy Graham, Fingerstyle, Guitar, John Fahey, John Renbourn, Nick Drake, Sean Siegfried on May 29, 2011 by Work & Worry. Tompkins Square has had a few homerun records in the last year… William Tyler’s spellbinding Behold The Spirit, and the Beyond Berkeley Guitar compilation would be indispensable acoustic guitar albums in just about any era, but are definite standouts in today’s fuzzy, post-everything musical landscape. 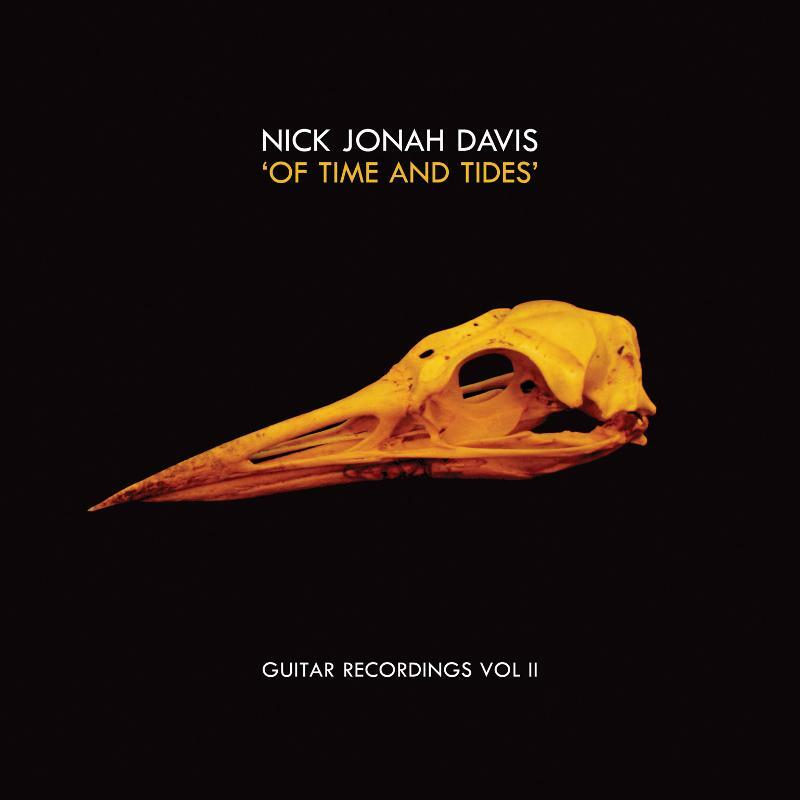 The label’s winning streak quietly continues with Nick Jonah Davis’ proper debut, Of Time And Tides. 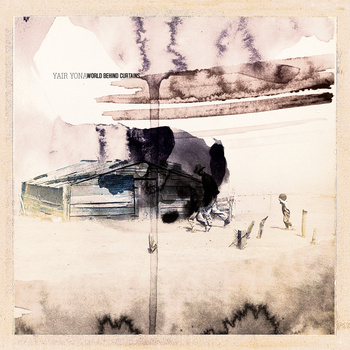 This entry was posted in Reviews and tagged Acoustic Guitar, American Primitive, Boom-chick, Fingerpicking, Fingerstyle, John Fahey, Nick Jonah Davis, Of Time And Tides, Tompkins Square, William Tyler on April 19, 2011 by Work & Worry. This entry was posted in Reviews and tagged Allen Karpinski, American Primitive, Chris Brokaw, Dirty Three, Fingerstyle, Jack Rose, John Fahey, Joshua Blatchley, Kranky, LP, Mark McGuire, Matthew Mullane, Solo Acoustic, Sonic Youth, The For Carnation, Thurston Moore, VDSQ, Vin Du Select Qualitite on March 22, 2011 by Work & Worry.